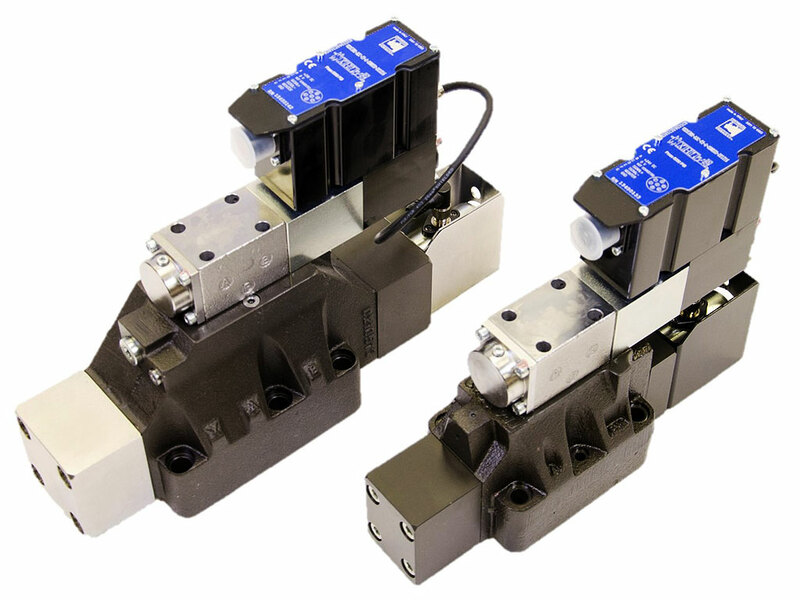 Continental Hydraulics VED*MJ pilot operated 4-way proportional valves with On-Board Digital Amplifier and Spool Position sensing, conform to NFPA and ISO 4401:2005 (CETOP RP 121H) mounting standards. These valves are designed to control the direction and oil flow rate based on the degree of command signal supplied to the On-Board Amplifier. In event of a loss in electrical power, the centering springs will return the valve spool to the center position. 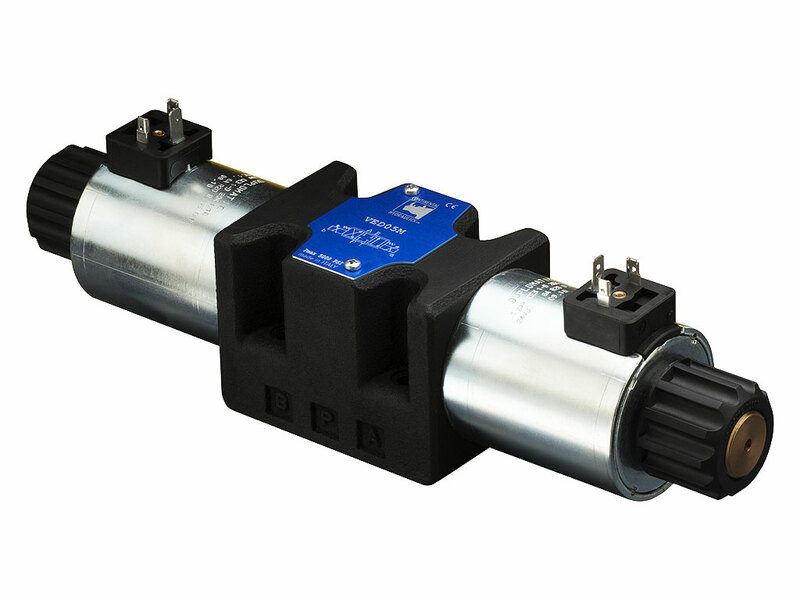 The Spool Position Sensor circuit improves the overall valve performance by reducing hysteresis and improving response times. The On-Board microprocessor controls all the valve functions and is pre-set to optimal valve performance. In-field adjustments can be performed via software to customize the parameters based on your application. 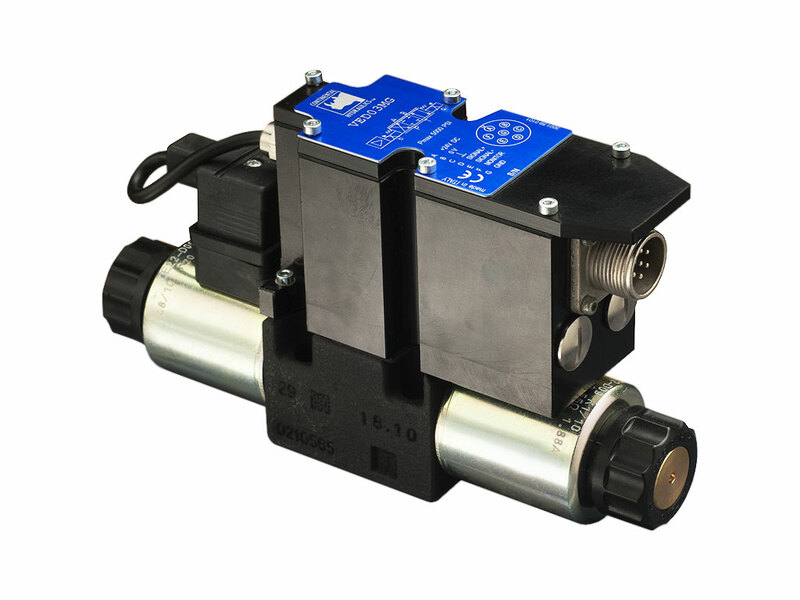 The valves with internal pilot are available also with a pressure reducing valve. 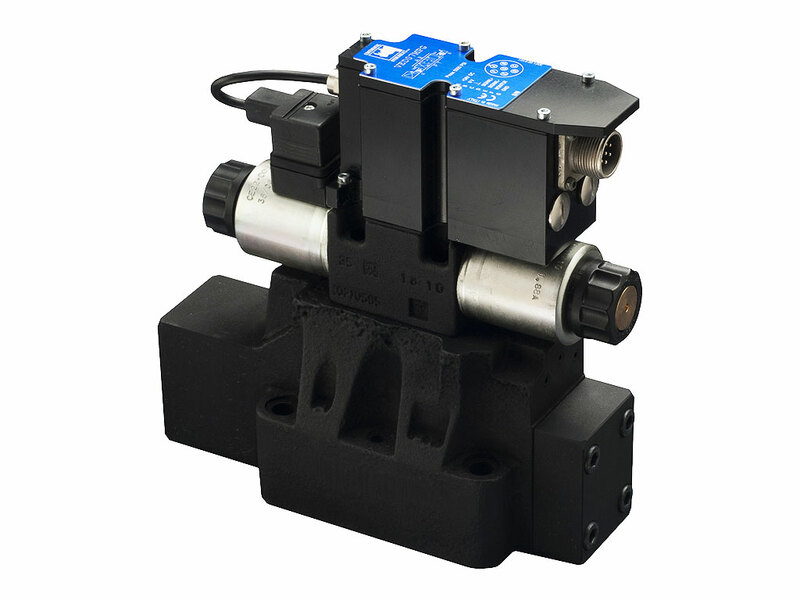 EDF03M and EDF05M are direct operated normally closed proportional flow control valves with pressure compensation. The VER03MG direct operated Proportional Relief Valve, with On-Board Digital Amplifier conforms to NFPA D03 / ISO 6264 standards. 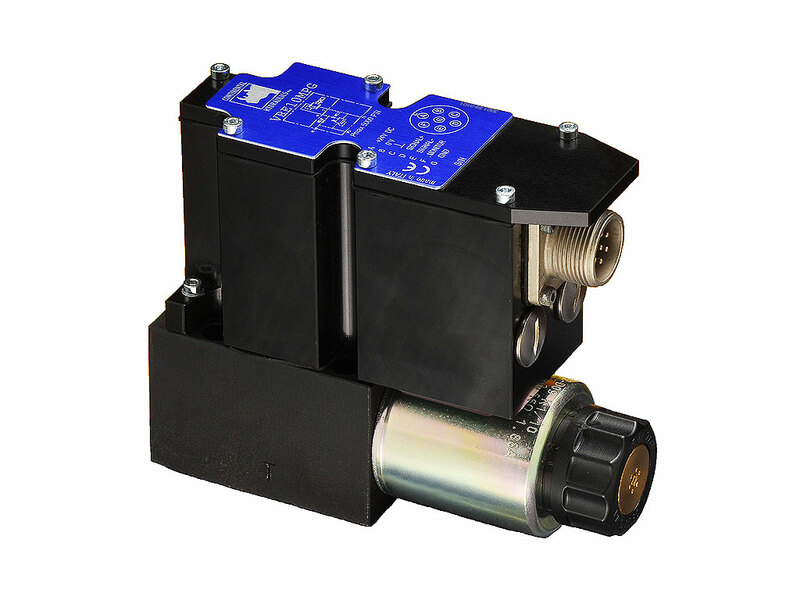 Continental Hydraulics VED03MG direct operated 4-way proportional valves with On-Board Digital Amplifier conform to NFPA D03 and ISO 4401 mounting standards.